This compact plant with silvery-green foliage is great for a formal location or container gardens. 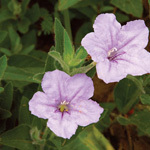 When in bloom, the light-purple flowers contrast nicely with the foliage. It would make a great addition to a rock garden. It loves sunny dry areas. 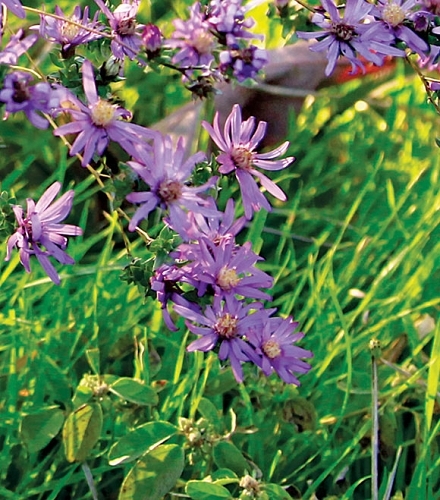 Don't over-water as silky aster needs to wilt a little in summer to force its lower leaves to fall off, a natural occurence in its native habitat that allows this weak-stemmed plant to stand upright. The exposed, smooth stems are showy. Prairie dropseed, lanceleaf coreopsis, pale-purple and yellow coneflower, and Missouri black-eyed susan are all good companion species.